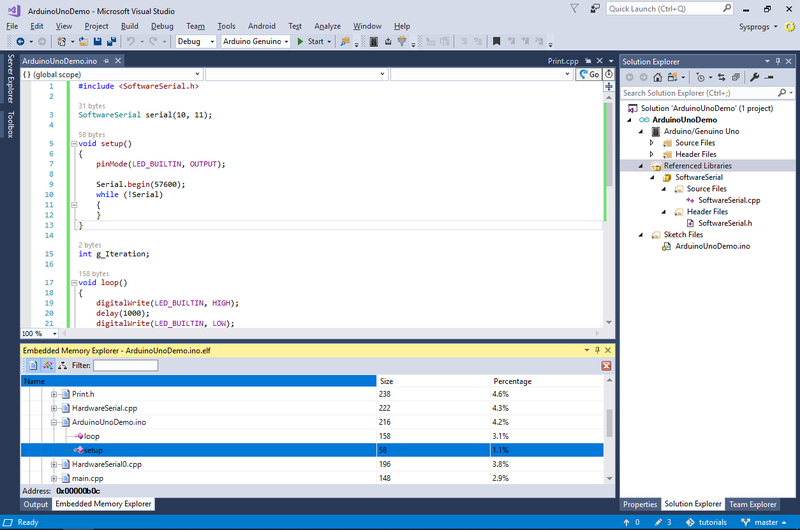 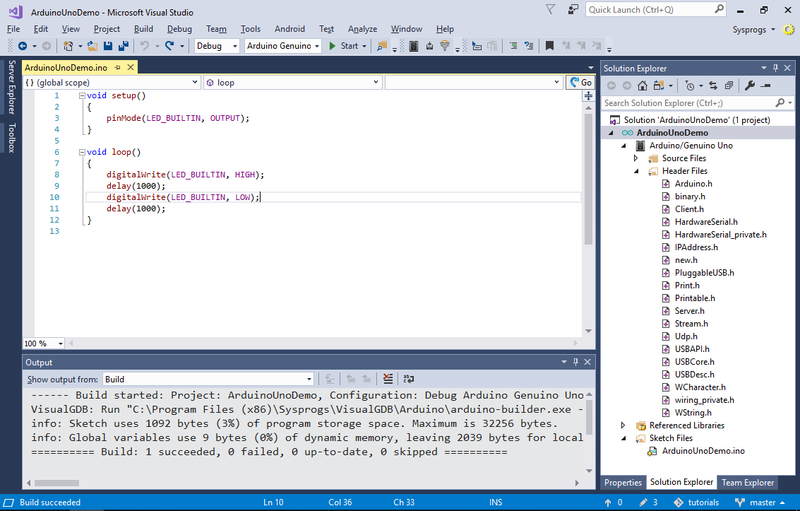 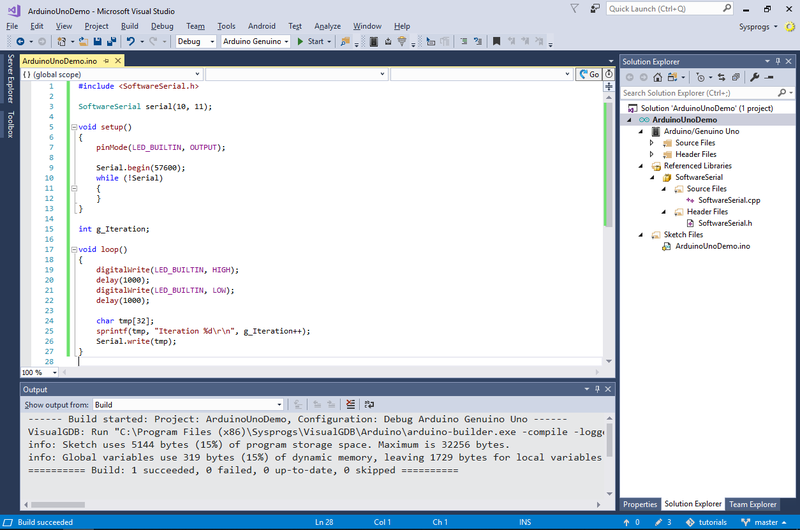 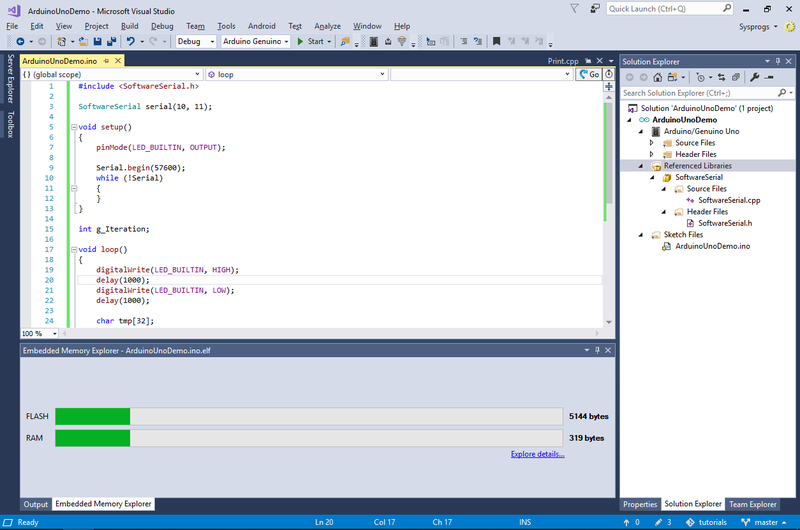 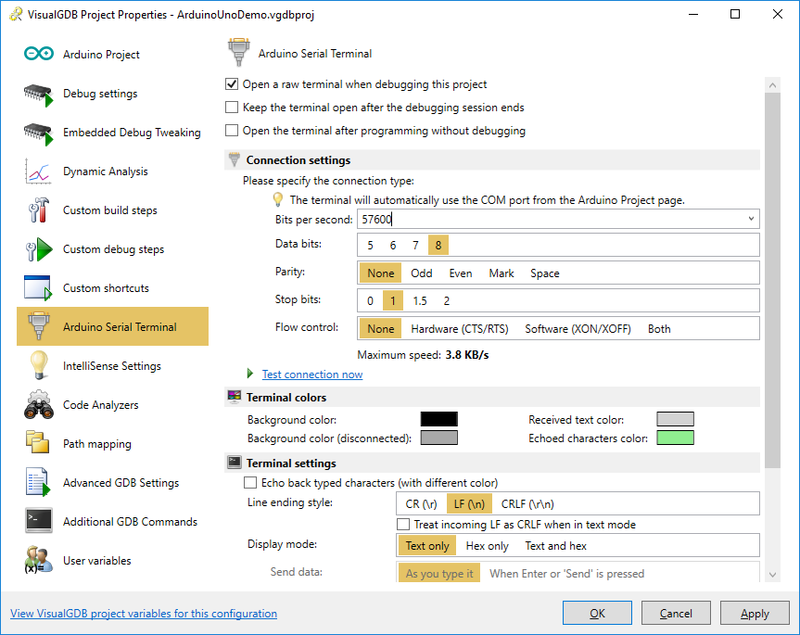 This tutorial shows how to use the Advanced Arduino Project Subsystem of VisualGDB to easily develop Arduino projects with Visual Studio. 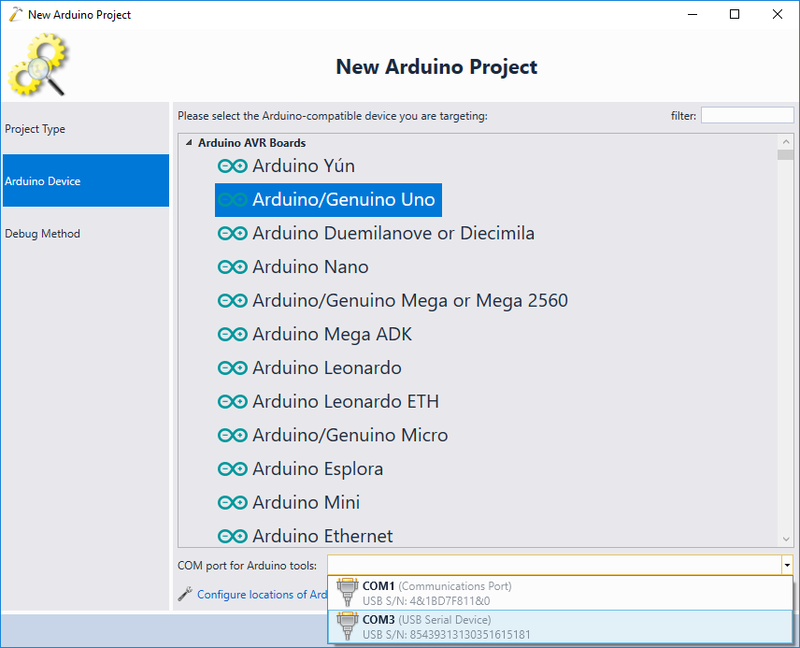 While VisualGDB also supports Arduino-compatible boards based on ARM, ESP8266 and ESP32 platforms, this tutorial covers the classic Arduino Uno board based on the AVR platform. 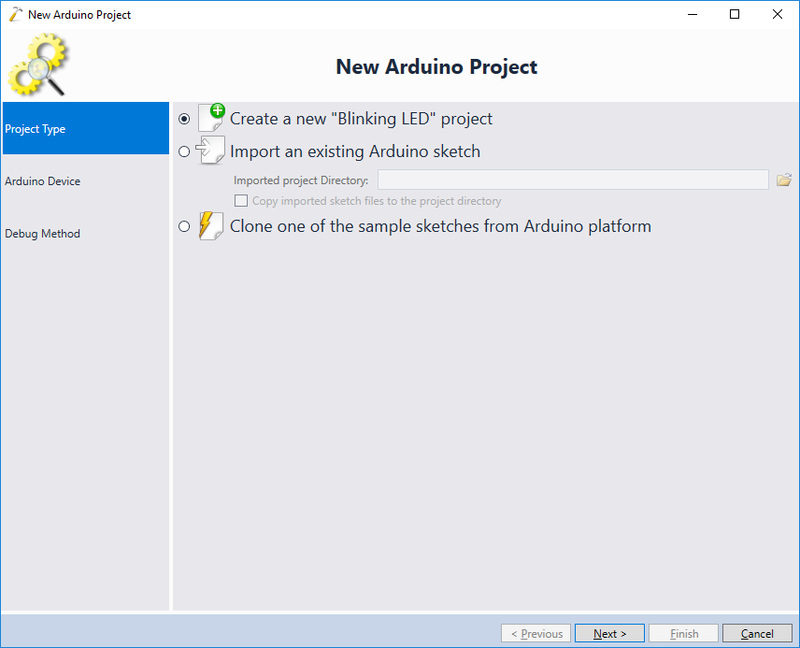 We will create a basic “Blinking LED” project and will show how to use various Arduino-related features of VisualGDB to develop it conveniently. 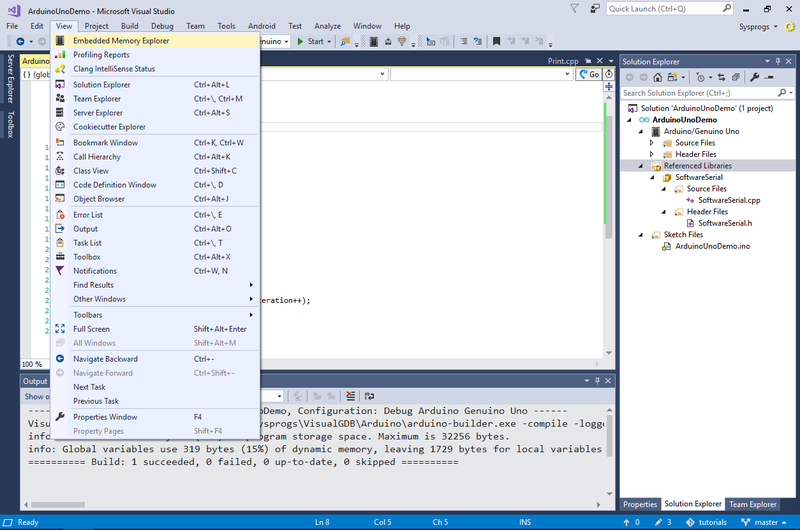 Before you begin, install VisualGDB 5.4 Preview 4 or later. 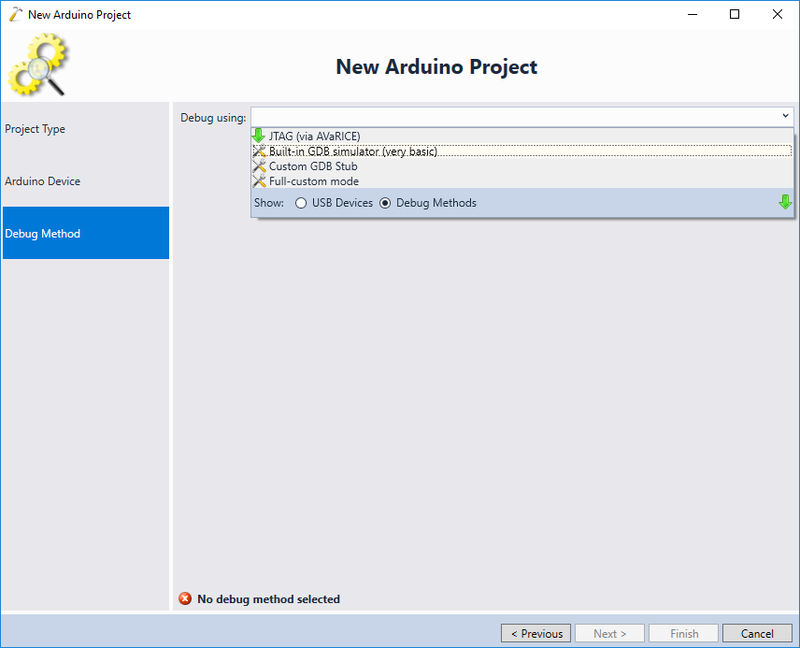 Although you can install the Arduino IDE to use the Arduino platforms and libraries shipped with it, this is not necessary as VisualGDB will automatically download the necessary Arduino packages if they are not already installed. 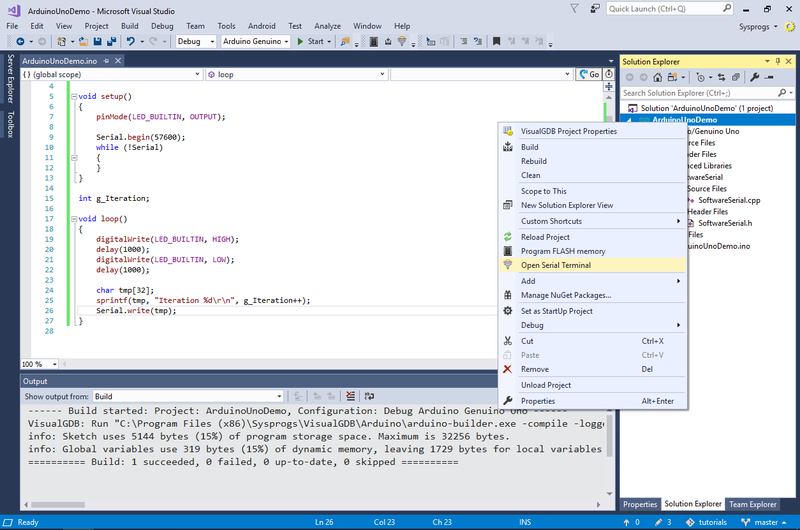 Note that some boards will not appear in the list until you install the corresponding package. 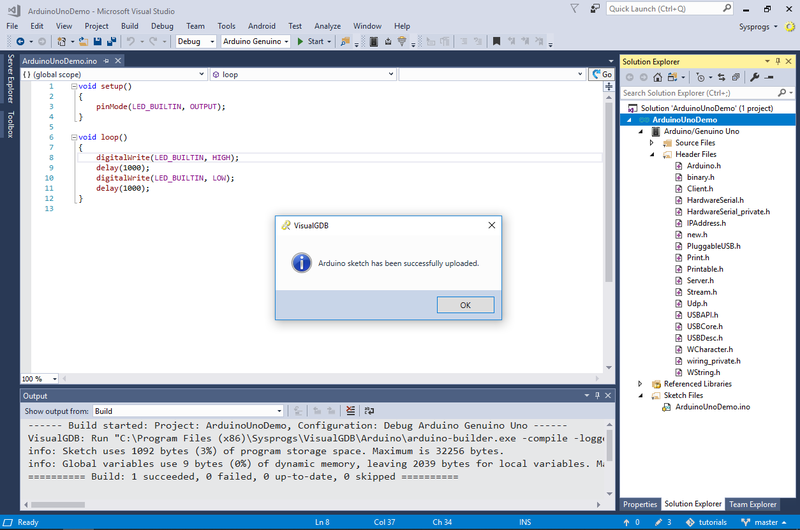 This happens because the Arduino package lists do not include all boards that are actually provided by the packages. 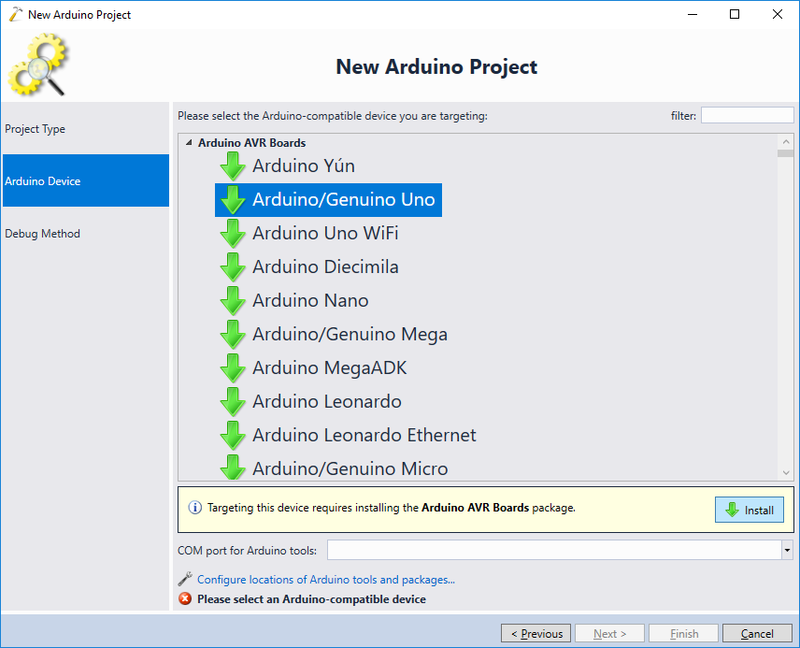 If you cannot find your board in the list, try selecting a similar board, installing the package and check for your board again. 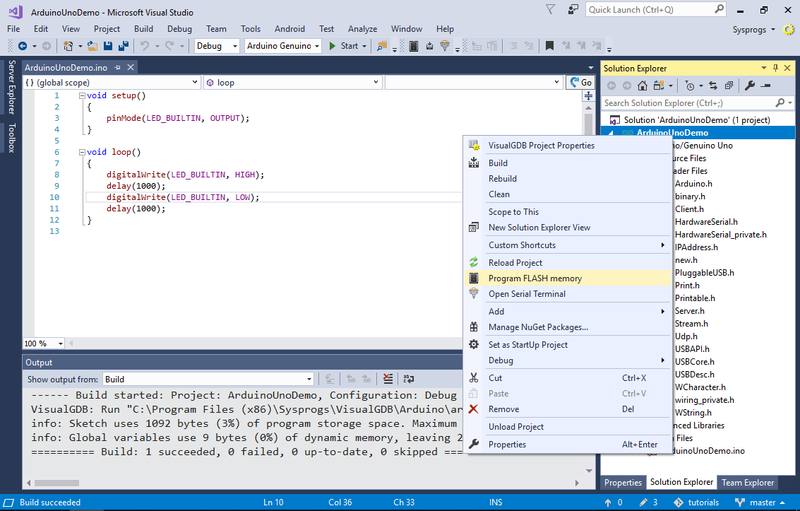 Press “Finish” to generate the project. 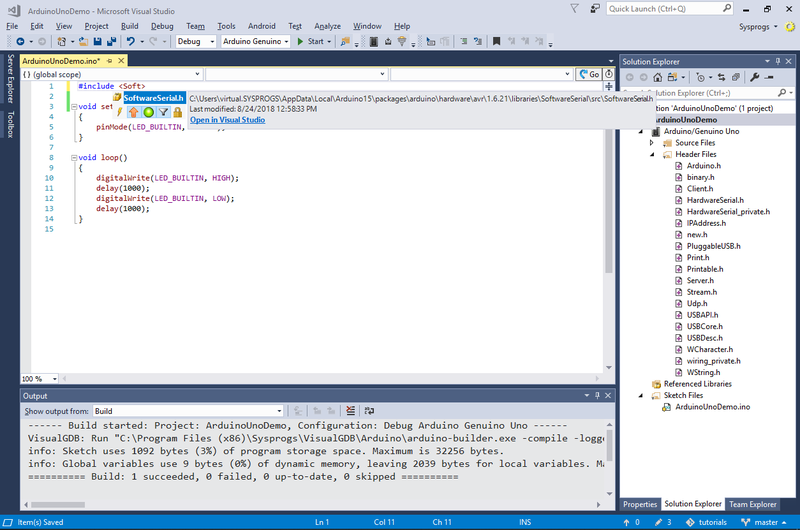 VisualGDB will create a basic project with a single Arduino sketch. 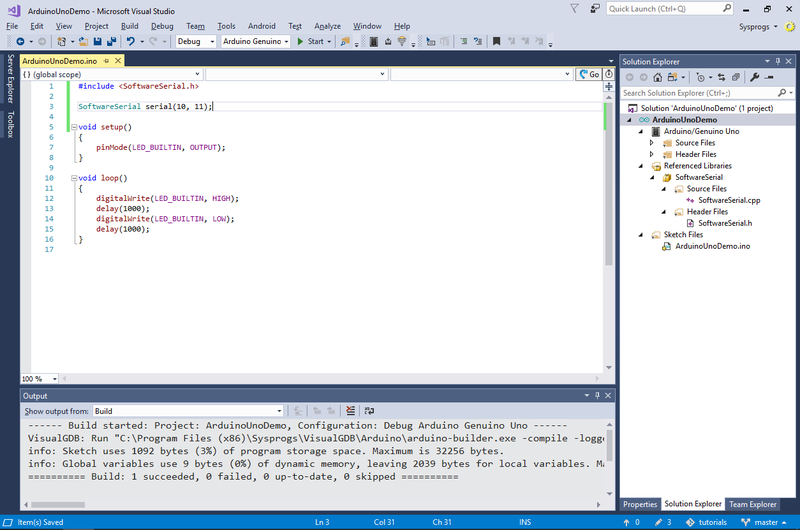 Build it by pressing Ctrl-Shift-B: Note that the Advanced Arduino projects get the project structure directly from the Arduino build tools, so VisualGDB will always show the precise list of source files used by the various project’s libraries and will configure IntelliSense to see the code exactly the same as the compiler does (including the automatic generation of Arduino function prototypes for sketch files). 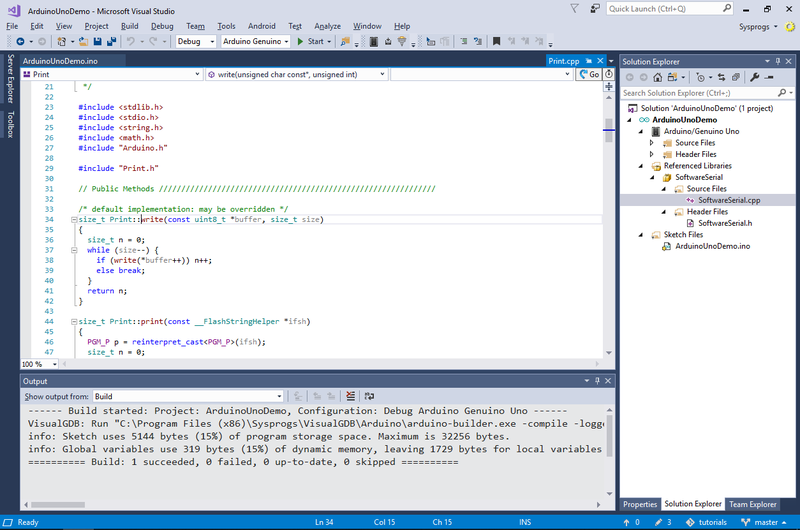 VisualGDB will display the output from your sketch in a terminal pane inside the Visual Studio window: Note that you can use the ANSI escape sequences if you want to add colors to your sketch output. 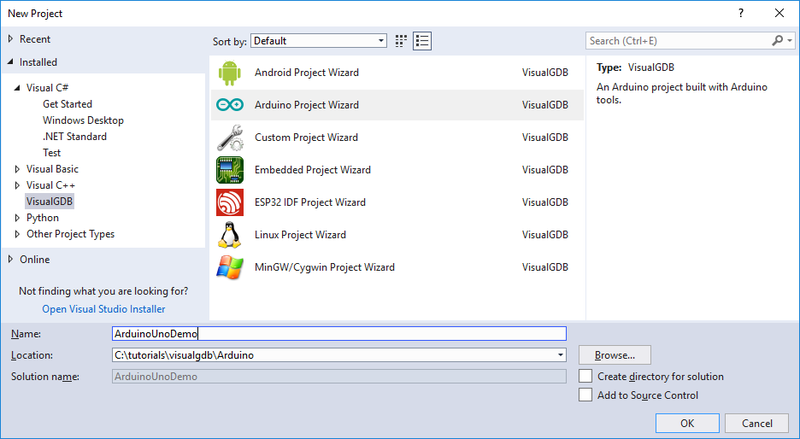 You can also configure VisualGDB to debug your AVR-based Arduino board. 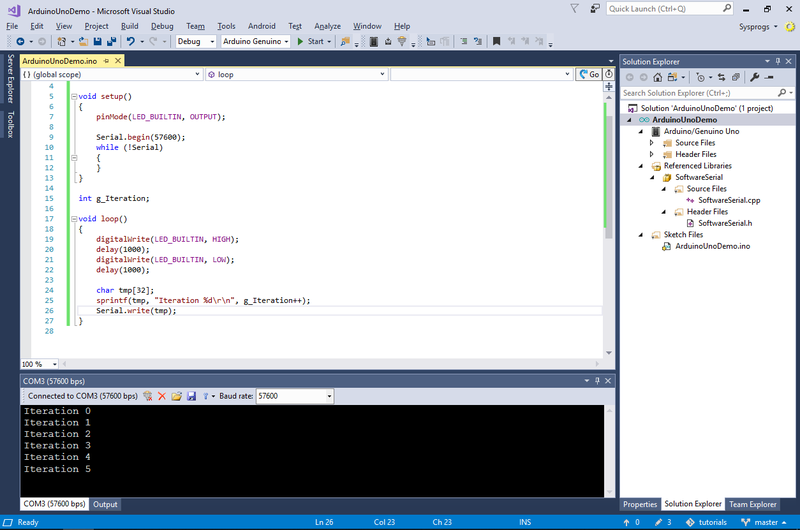 See this tutorial for a detailed list of steps.